Osteoarthritis is the most common type of hip arthritis; involving chronic wear-and-tear of the cartilage in the hip joint. When the cartilage is worn away, bone-to-bone contact is present, causing severe pain, decreased function and range of motion. Maintaining a healthy body weight plays a significant role in minimizing pain. Treatments for osteoarthritis include conservative management such as physical therapy and injections to alleviate the pain. In early arthritis, arthroscopic surgery may allow relief of pain, and may delay hip replacement. In advanced cases of osteoarthritis, a minimally invasive hip resurfacing or total hip replacement is the definitive treatment. A total hip replacement involves removing the existing arthritis and placing a metal cup in the socket and a metal stem down the femur. There is a plastic, polyethylene liner that is placed between the metal ball and socket to provide non metal-on-metal weight bearing surfaces. After a hip resurfacing, patients are generally allowed to bear weight as tolerated. This procedure can be done through an anterior or posterior approach. Robotic guidance may also be used in your hips replacement for component position accuracy. Ask Dr. Domb at your visit which approach would work best for you. A hip resurfacing is considered a total hip replacement. Surgery involves removing the existing arthritis and placing a metal cap over the femoral head and a metal cup in the socket. This allows for smooth movement of the hip joint. A hip resurfacing has the advantage of preserving more of the patients native bone of the femur. This procedure is performed through a posterior approach. After a hip resurfacing, patients are generally allowed to bear weight as tolerated. Active males less than 60 years of age are generally candidates for a hip resurfacing. 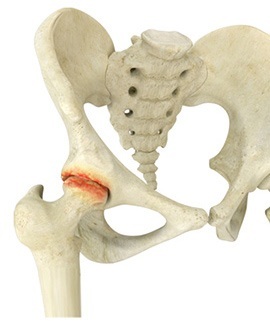 In rare cases, there may be too much damage to the femoral head in this group, rendering the patient a candidate only for a total hip replacement.